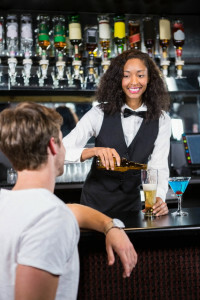 Bartenders must understand how to talk to people, how to make and sell drinks and, most importantly, how to deliver a great experience to your guests. Have them look their best every night in our comfortable but contemporary uniforms that don’t look like uniforms. 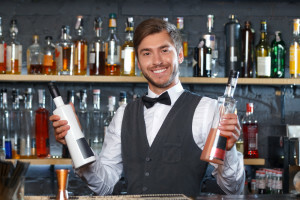 Bartenders are under pressure to work fast, have a great memory and entertain your guests all at the same time. Shouldn’t they be outfitted in comfortable and great looking uniform apparel? Make sure your see your name often by having us embroider your logo and all your staff’s shirts. For a more classical look consider accentuating your bartender shirts with sharp looking vests with your logo embroidered plainly in site.